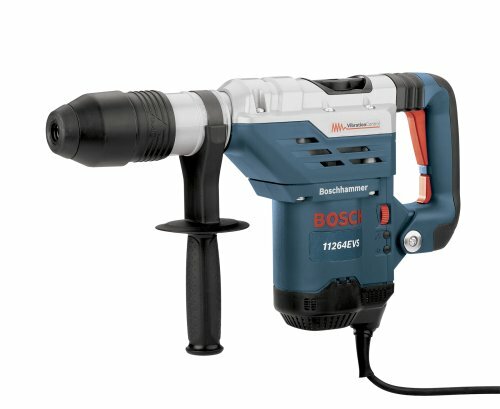 For this post, I have put together a collection of the best hammer drills currently available. A hammer drill has a specially designed clutch that allows it to not only spin the drill bit, but also to punch it in and out (along the axis of the bit). The actual distance the bit travels in and out and the force of its blow are both very small, and the hammering action is very rapid—thousands of "BPM" (blows per minute) or "IPM" (impacts per minute). Although each blow is of relatively low force, these thousands of blows per minute are more than adequate to break up concrete or brick, using the masonry drill bit's carbide wedge to pulverize it for the spiral flutes to whisk away. For this reason, a hammer drill drills much faster than a regular drill through concrete or brick. Holes in hard materials are needed for anchor bolts, concrete screws and wall plugs. Hammer drills almost always have a lever or switch that locks off the special "hammer clutch," turning the tool into a conventional drill for wood or metal work. The following hammer drills use the latest innovative components to meet your needs and help to ensure you do your best work. So here is my list of The 10 Best Hammer Drills. One-hand tool free SDS-max system makes changing bits easier than ever before while maximizing jobsite productivity. TurboTM Power  delivers 20% more power in hammer only mode. Vibration reduction in the hammer mechanism and the grip area provides maximum user comfort for extended periods of work. Maintains speed under load and overload protection. Vario-Lock Positioning rotates and locks chisel into 12 different positions. Service light indicates when preventative maintenance is required. Cord turret reduces cord wear. 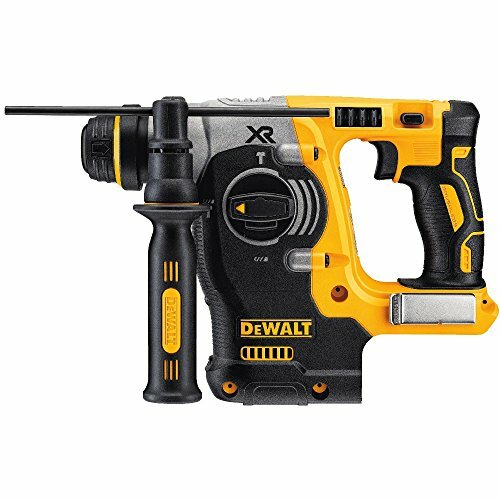 Features a DEWALT brushless motor for extended runtime and durability. Offers Active Vibration Control which significantly reduces vibration and increases user comfort and productivity. 2.1 Joules impact energy which provides corded power without the cord. Retractable utility hook for convenient hanging and storage. Powered by a 7 amp motor that delivers a no load speed of 0-1,100 rpm, with 0-4,500 BPM and 2.7 joules of impact energy. Three-mode operation includes "Rotation Only," "Hammering with Rotation," and "Hammering Only" for multiple applications. Field core interlocking steel laminations, dual ball bearing armature, and more copper commutator bars. Torque limiting clutch engineered to prevent gear damage by automatically disengaging gears if the bit binds. Sequential impact timing feature delivers timed hammering during rotation to minimize overlapping bit impacts, resulting in up to 50 percent faster drilling. One-touch sliding chuck for easy bit changes, a recessed lock-on button for continuous use, and a large trigger switch. The multiple chisel positioning allows the bit to be set at 40 different positions to align with the application. 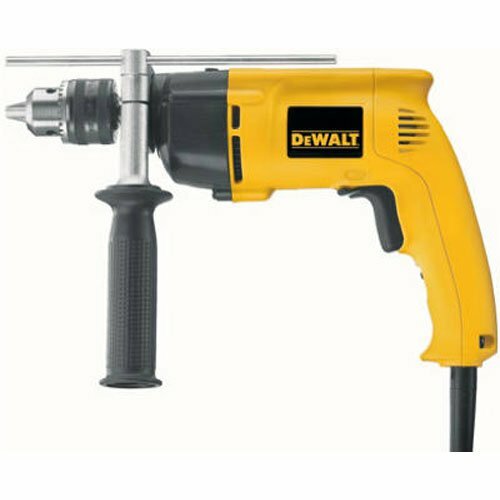 The D25263K 1-1/8-inch D-Handle SDS Rotary Hammer with SHOCKS. 3 Joules of impact energy for fast drilling and chipping speed. 8.5 Amp high performance motor for all your needs. SHOCKS active vibration control and regulation, resulting in reduced vibration felt in the handles - a Perform & Protect feature. Rotating brush ring which delivers full speed/torque in forward and reverse. Integral clutch that reduces sudden, high torque reactions if bit jams. 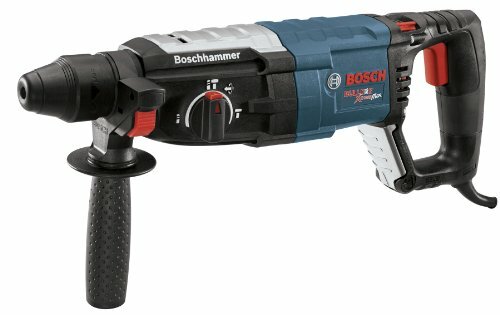 The Bosch RH228VC 1-1/8-Inch SDS-plus Bulldog Xtreme Max Rotary Hammer delivers 2.4 Ft.-Lbs. of impact energy with a D-handle design, making it a great solution for overhead drilling tasks. The tool provides increased drilling capacity (from 1-Inch to 1-1/8-Inch), faster drilling speed and a light 6.9 Lbs. weight. Engineered with counter-balanced Vibration Control to increase operator control while mitigating vibration for added comfort during all-day hammering. Features the convenient SDS-Plus drive system, and its beefy 8.0-amp motor provides unmatched performance in a compact package. Three modes for maximum versatility - rotary hammer, hammer-only or rotation-only mode. Provides a counter-balance system for vibration control for additional user comfort over extended periods of work. Vario-Lock positioning, which allows the user to rotate and lock a chisel into 40 different positions, for the optimum working angle. Multi-function selector makes it easy to switch the modes for hammer drilling, hammer-only or rotation-only. No-load rpm at 0-1,230 and no-load bpm at 0-5,460. The 18V LXT Lithium-Ion Cordless ½” Hammer Driver-Drill (model XPH07M) breaks new ground with a full 1,090 in.lbs. of torque for the most demanding drilling and driving applications in wood, masonry and metal. 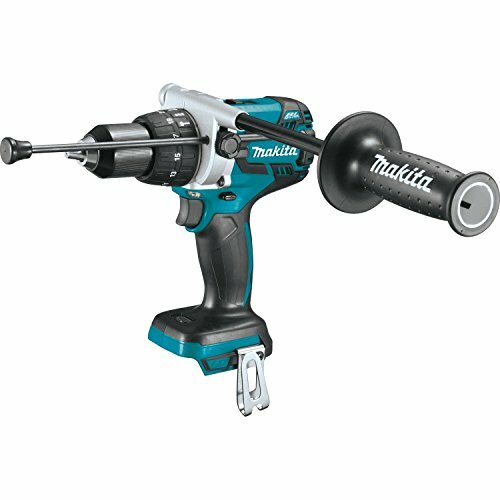 Powered by a Makita brushless motor for longer run time, increased power and speed, and longer tool life. 0-31,500 BPM for fast hammer drilling in masonry materials. All metal variable 2-speed transmission (0-550 & 0-2,100 RPM) for a wide range of drilling, fastening and hammer drilling applications. All metal 1/2" self ratcheting chuck for improved bit gripping strength and durability. Weighs only 5.9 lbs. with battery (battery not included) for reduced operator fatigue. Able to handle everything from wood and steel to masonry and concrete, the DEWALT DW511 1/2-Inch VSR Single-Speed Hammer drill is a versatile tool. Featuring a dependable 7.8 amp motor, variable-speed control, and a comfortable grip. Overload protection and a variable-speed trigger for precise hole placement and material-appropriate performance. 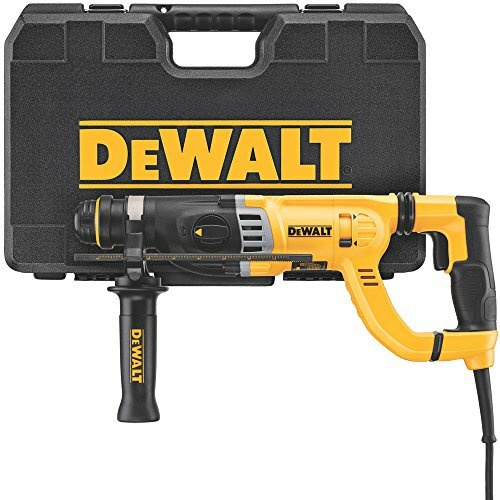 Offers a 1/2-inch drilling capacity when working with steel, and a 1-1/4-inch capacity when working with wood, and a 5/32- to 3/8-inch capacity when working with concrete. Two-finger rubber trigger makes speed control easy, while a 360-degree side handle offers hand-position options for optimum handling. Integrated depth rod provides top-down accuracy. Active Vibration Control™ in the hammer mechanism and the grip area provides maximum user comfort for extended periods of work. Vario-Lock places the tool in neutral, allowing you to choose from 12 different positions so you can fine tune where the chisel is located. Features an integral clutch, which disengages the torque transmission if the bit gets into a bind-up situation. Variable speed three finger trigger. 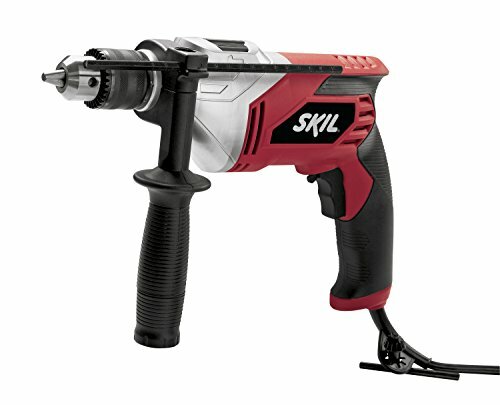 Powerful SKIL 6445-04 7 Amp 1/2 In. 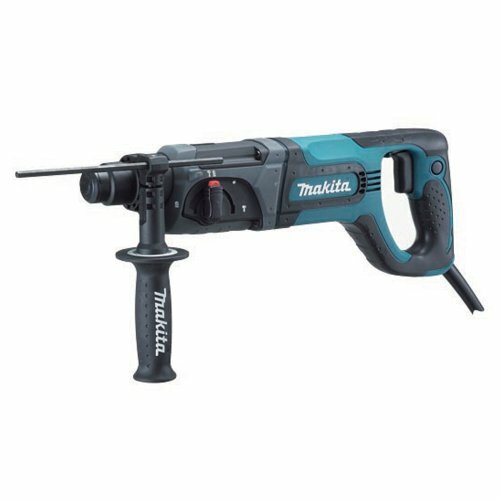 corded hammer drill is the ideal tool for tough applications. 1/2 In. keyed chuck accepts larger diameter bits designed for woodworking and cutting while the side-assist handle provides more support when needed. Variable speed trigger accelerates smoothly from low to high speeds. Two-finger trigger with lock-on option provides even more control. 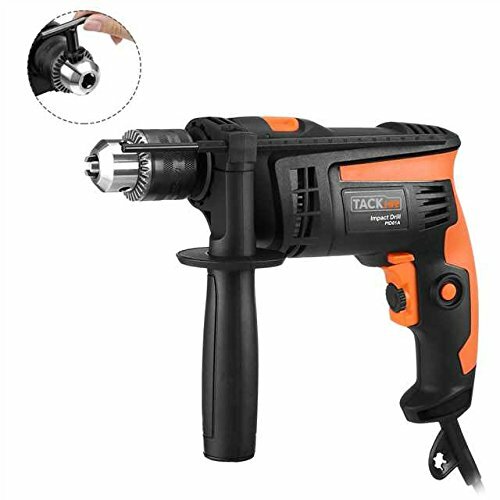 Powerful 6 amp motor hammer drill with locking button and chuck key ideal for drilling on metal, glass, stone and wood. Depth gauge can measure drilling depth for ultimate precision. 360° adjustable anti-skid auxiliary handle is convenient for operation at any angle. Powerful 710W, 2800 rpm ensures optimal performance. Variable speed (0-2800 rpm) trigger with speed set is adjustable satisfy your needs by one button. 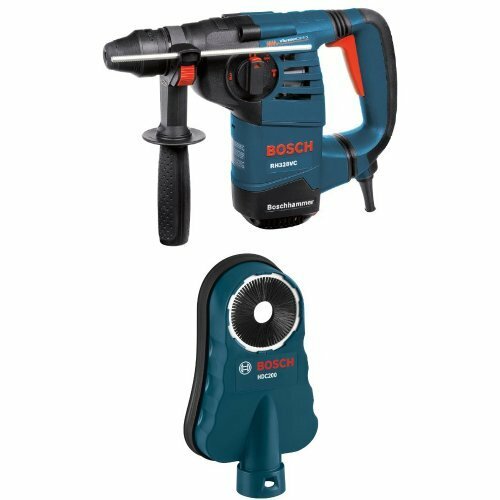 Easily switch hammer and impact drill functions with the switch at the top according to your work requirements for steel, concrete, metal, wood, masonry etc. 0 - 0.51" (concrete and steel). I hope this list of the best hammer drillswas helpful.